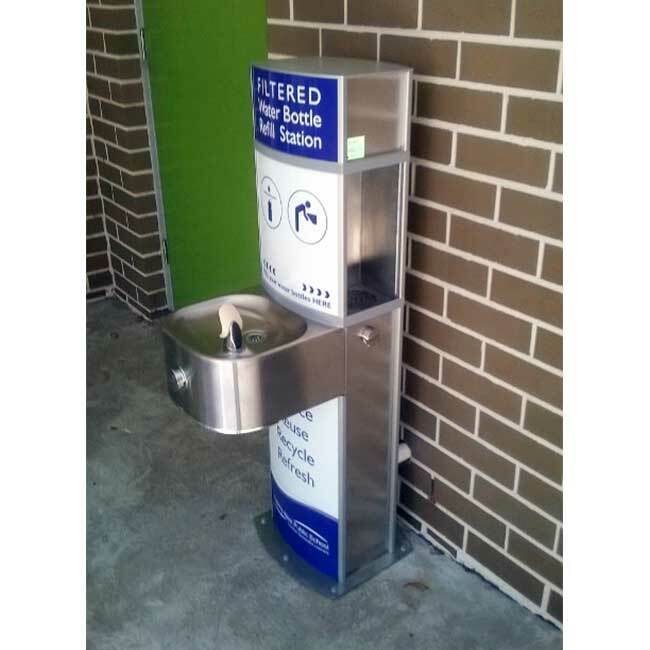 The aquafilUS Pulse Junior Water Bottle Refill Station and Drinking Fountain is 47 inches high and has a stainless steel drinking fountain and 2 anti-bacterial bulk bottle dispensers. 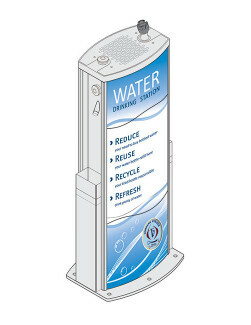 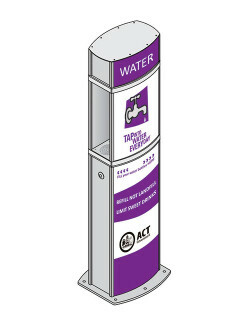 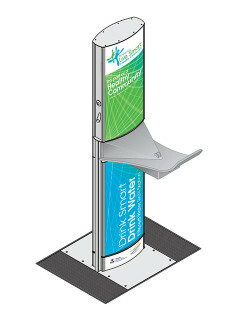 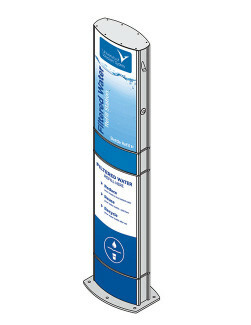 The drinking fountain frame is constructed from stainless steel with a marine grade anodized aluminium unit housing and a removable panel to enable easy filter changing.There are also changeable panels that allow full color graphics for environmental sustainability education awareness, corporate branding, advertising and event promotions. 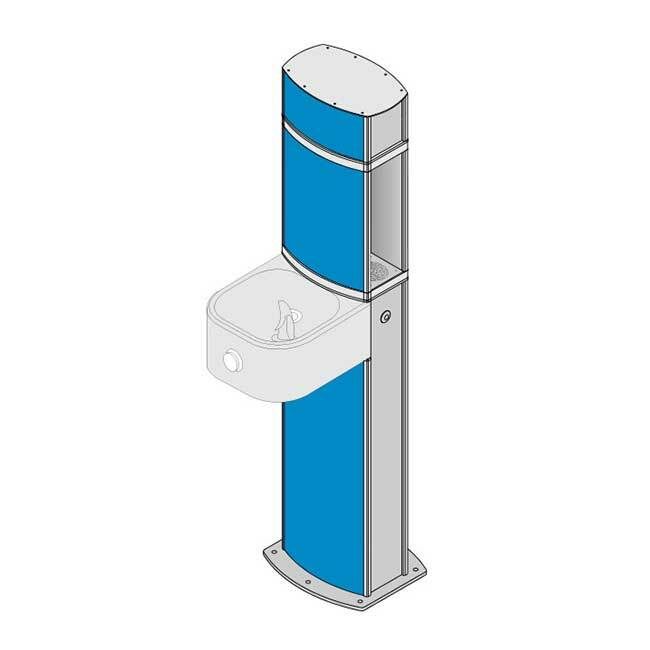 Refresh for life with aquafilUS Water Refill Stations and Drinking Fountains!